As you probably remember, I mentioned a little bit ago that Porter’s been having some GI issues for nearly 7 months now. We’ve kind of bounced between intense constipation that’s landed us in the ER, to diarrhea, to nearly nonstop rashes that seem to consistently plague him. At the beginning of last week, we seemed to be in the middle of one of those bouts of diarrhea again. I was worried, but frankly, I didn’t think too much of it because we’ve always gotten it under control. He had another weight check on Tuesday though, and he was down another 4 oz, despite constantly drinking his formula. I mentioned his rash, and they told me to continue to apply Triple Paste, despite the fact that I told them I couldn’t keep up with the diarrhea. By Thursday, his rash was bleeding and all over his poor bottom. I took him to the doctor, and she told me it was bad, but not awful, and she prescribed Nystatin for a yeast infection. On Friday morning, his rash was the worst I’ve ever seen it, and he was inconsolable. I took him back to the doctor, and she told me that his weight was down again, his blood sugar was 48, and he was lethargic. She got him to take a bit of a pedialyte popsicle, and his blood sugar bounced back up to 98. She didn’t want to admit him, so she told us he was fine – have daycare monitor him and see how the day goes. Against my better judgment, I put him in daycare to get some work done, and I told them to call me at any time. At 3 PM, I got a call from daycare that Porter had been writhing in pain on the floor for almost 3 hours. He couldn’t get comfortable, couldn’t drink, and his poor bottom was bleeding all over every diaper. I quickly went and picked him up and raced back to the doctor. His blood sugar was back down to 42, and he was severely dehydrated. She said our only choice, since we were on day 7 of diarrhea, was to be admitted to the hospital. Cue panic. I called my neighbor, Emily, and she told me to leave Spencer’s car seat at daycare. She picked him and took him home with them and, luckily, Spencer was totally comfortable with them and loved his time there…for two days. I’ve never felt more guilty in my life than leaving one boy to care for the other, but I know he was with people who loved him. Our other neighbor, Jo Ann, volunteered to watch Danny and the cats, and luckily, I could focus on Porter. They put in a line and gave him continuous fluids for 48 hours. His diarrhea continued. They monitored every single wet and dirty diaper, and we tested his blood and his poo. All of them came back clean. The answer was more simple than we could have imagined. His doctor believed he was allergic to lactose. It turns out that Porter is severely allergic to lactose, milk proteins and soy. When we were discharged on Sunday morning, we were prescribed a hypoallergenic formula to the tune of $106 a can. He cannot have any foods with any form of dairy in them at all. He’s been home with me these past couple days, and he spiked a high fever on Monday – 103.8 – having caught both strep and the flu. He’s on the mend now though, fever-free since Monday night, and his bum is finally starting to look a little better. But, if you wouldn’t mind continuing all those prayers, we’d really appreciate them. 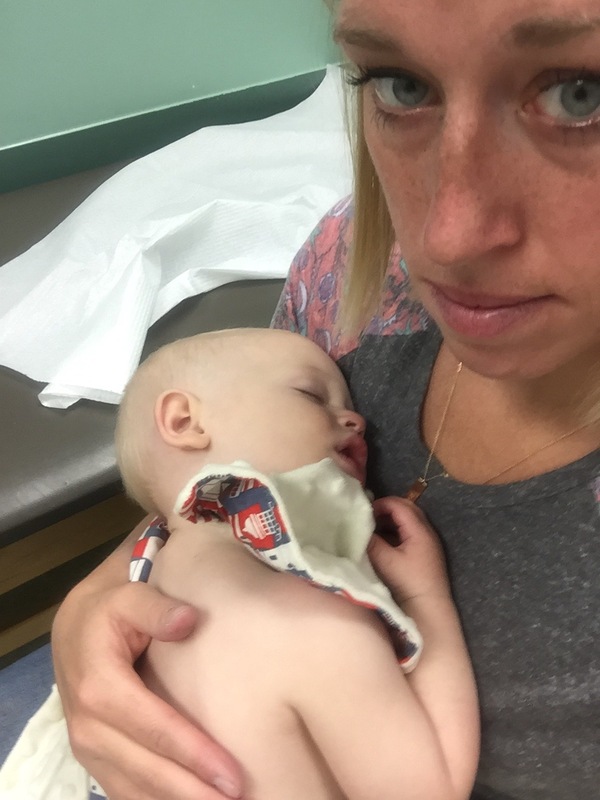 There’s nothing worse than seeing your child so very sick. And, I should mention that poor Ryan was struggling with being so far away during a time like this. 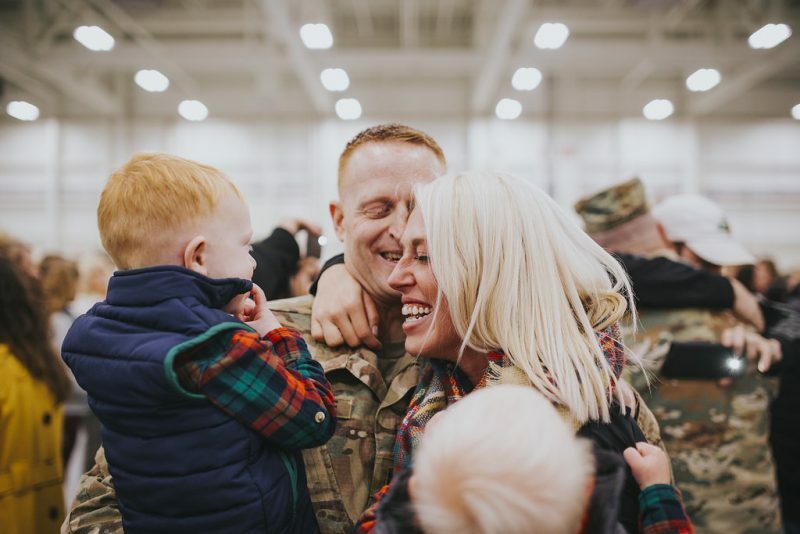 Deployment is hard, even in the best of times, and I know my amazing husband would have done anything to be home with us throughout all of this. But, I’m so, so grateful for his sacrifice, and I hope that he knows how much we felt his love and support through all of this.